It is becoming increasingly more important to reduce carbon emissions and do what we can to help the environment. One of the biggest ways we can do this is to take advantage of renewable energy sources and in the age of technology we live in, solar panels can be a great option. Solar panels convert sunlight to electricity that can be used in homes and businesses alike. Although solar energy has typically come with quite a high barrier to entry in terms of cost, it is now most definitely a viable option. The following are some of the main benefits to using solar panels to power your home or business. With the current uncertainty of the future for fossil fuels, and the government building plans to reduce C02 emission levels; more and more organisations, communities and individuals are looking towards renewable energies as viable options. In Addition to this, the cost of electricity for the consumer is predicted to keep rising over the next few years as UK fuel resources are becoming increasingly short in supply. This would indicate that it would be an ideal time to install PV panels on your own building and make great savings on bills. Installing Solar panels is a great long term solution to keeping energy costs down over a sustained period of time as well as reducing your individual or organisation’s carbon footprint. Over a 20 year tariff payback period you could make back approximately £200,000 from the installation of solar panels. This would easily cover the initial installation cost and would not only see great benefits from repayment, but also would increase the value of your property. It is important to note, however, that the tariffs are assessed each quarter and as a general rule of thumb, the payback can be reduced up to 10% as funding is used. They are also based on when the system is installed, not when the quote is received. The average time it can take between receiving a quote and installing the system is between 8 to 12 weeks, so do not hesitate to take advantage of the opportunity whilst the scheme is running. The reduction of Carbon dioxide will not be through just one medium, but rather through a combination of various measures in a combined attempt to make a significant impact in reducing carbon emissions. The Government are avid supporters of Renewable energies and in particular Solar Panels due to the potential of the resources. 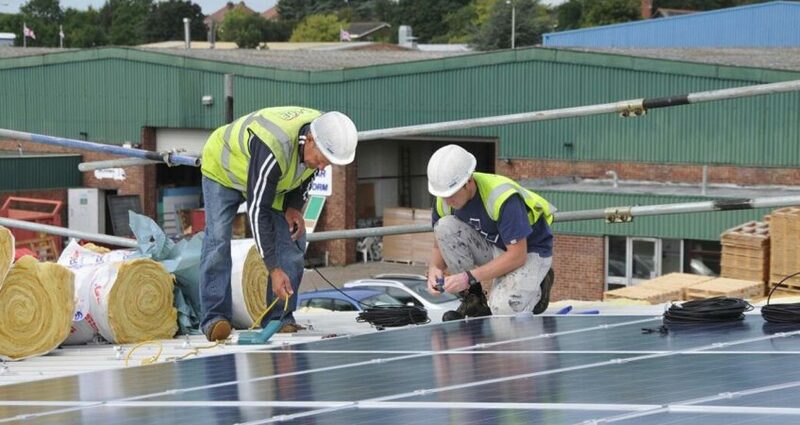 The Feed-in Tariff scheme works on the basis that you pay the standard rate to have a solar PV system installed for your property; and rather than giving you a loan or grant; your energy company will pay you back a set rate for the energy you create, and then a further payment rate for any energy that is exported back to the grid. You can find out more information at Energy Saving Trust.